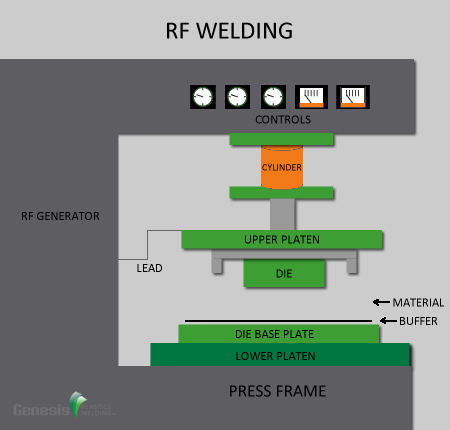 Radio frequency welding/sealing, also known as RF or high-frequency welding has been around for more than 60 years. It is the process of bonding together materials through the use of high-frequency electromagnetic energy (radio waves). It’s often a preferred method for plastic welding of thin polar polymers such as polyvinylchloride (PVC). 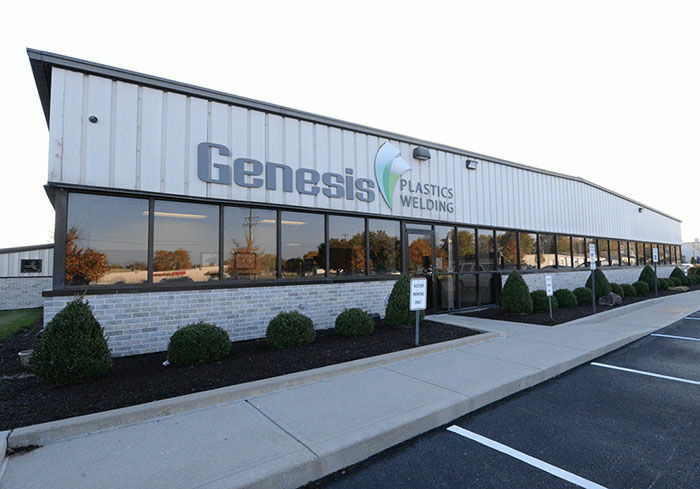 However, with Genesis Plastic Welding’s proprietary technology ecoGenesis, non-polar thermoplastic and PVC replacement materials such as polyethylene (PE) can also be fused together with RF heat sealing. During the RF welding process plastic molecules are excited. The molecules start to move exponentially faster, which creates heat and fuses the plastic together. The fusing process is directed by dies kept on an upper and lower platen. Pressure is applied to the surface area of the plastic materials being welded as the dies are brought together, while radio frequency waves (at 27.12 MHz) are sent through the dies. This causes the plastic to become molten and fused together as it cools. Once fully heat sealed, the plastic material is bonded in the shape of the dies used. For robust leak-proof seals, RF welding is a go-to resource over sewing or gluing. Due to its process efficiency and consistent high quality welds, RF heat sealing is often utilized for medical device manufacturing for items such as wound care devices, fluid bags/pouches and patient warming products. 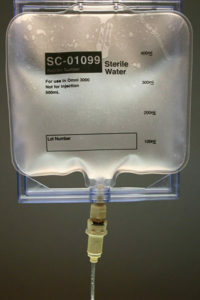 It also is utilized for heat sealed military applications such as hydration pouches, protection gear and safety products.